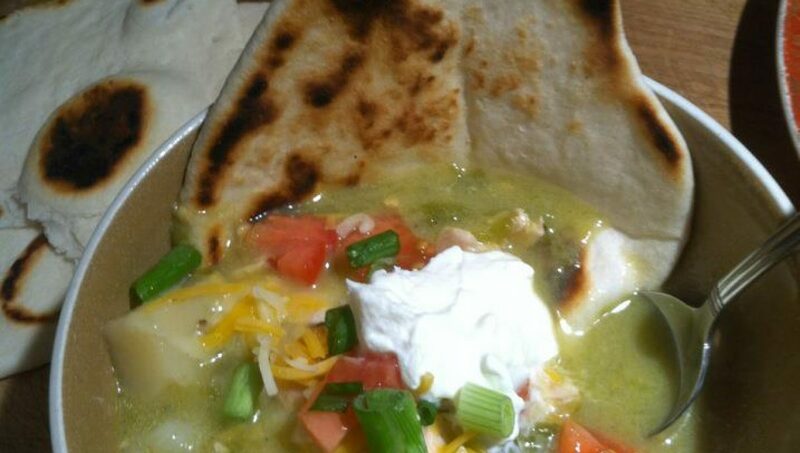 I am not a recipe follower, but here is a shot at my recipe and attempt of WCSA Green Chile Stew. I make fresh homemade tortillas and put the tortilla in the chile on the side of the bowl. You can use boring store-bought torts, if that’s all ya have.